As many of you know, we traveled to Florida a week ago to visit family and explore Disney World. Many people have asked us how it was, what our favorite things were and how this vacation came about. I've appreciated people being so kind to ask us about the fun we had, because it really was just that... FUN! Sometimes you don't realize how much you need a vacation until you go on one. It felt a little like coming up from underwater to breathe for a minute. So, here we are. Back from sunny Florida and I'm here to share our favorite moments, tasty eats and what we did to plan and prepare for this trip. Back in September, everyone was sharing all of their vacation pictures - mostly to Mexico and Hawaii. I haven't travelled much and always feel a tinge of envy when people go on vacation... so childish, right?! Then I finally started thinking, "Well, why don't we go somewhere fun... just because we can?" That night I started searching for airline tickets to anywhere. The hubs has family that lives about an hours out of Orlando, so naturally I checked those flights. To my surprise, the tickets were really affordable - even for needing to purchase 3 seats. We discussed this the next morning and decided to jump at the opportunity. Not only could we visit family, but we could go to Disney during Christmas (my favorite), the first week of December is slow which meant shorter lines, the temperature would be golden, the hubs and I would both be able to take work off at that time and the price was perfect. Just like that, family vacation became a reality. The rest of the planning went fairly smoothly as well. We were able to book a Marriott condo for MEGA inexpensive and rent a car using our Costco membership for a great price too (we rented a van... it was heavenly!). I made sure to research what restaurants were a must and wrote out a general itinerary so that we could hit all the best foods in our one week. I also researched tips on traveling with kiddos, specifically toddlers and we managed that fairly effortlessly. My favorite tip? 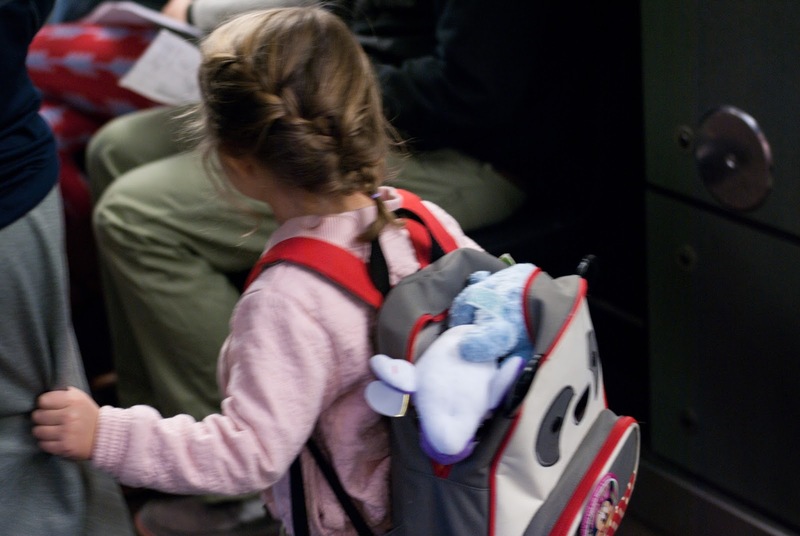 Take your own stroller, but rent car seats (from the car rental company). It was about $120 for the week to rent 2 car seats and it was great not having to carry ours through the airport. Granted, I'm a car seat snob... but not having to worry about that extra luggage was bliss! Maybe one day I'll share a few tips on traveling with kiddos, but more on that another day (plus, I'm definitely not an expert).